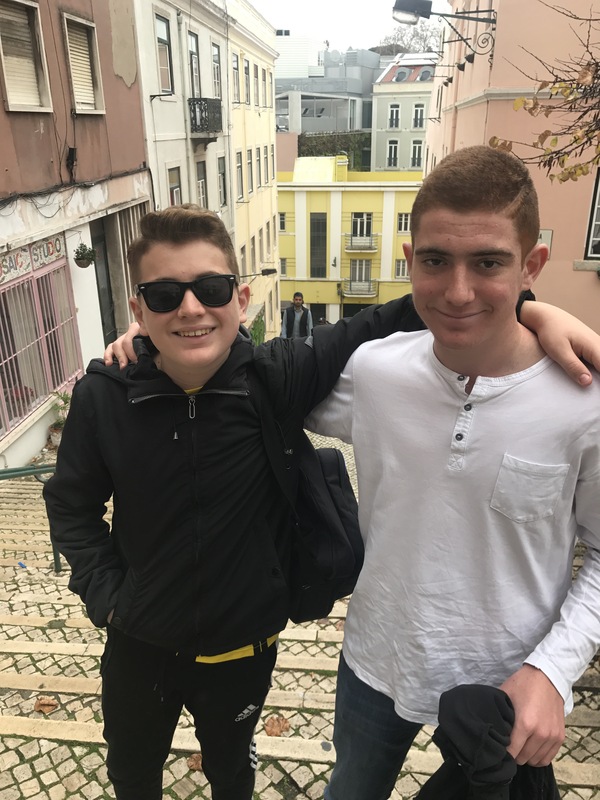 Every time we go to Portugal, we wonder why more people aren’t there, why more people don’t live there, and why more don’t vacation there. It’s a spectacular destination complete with interesting cities, a rich history, culture, music, nice people, good food, and some of the most spectacular coastline anywhere. And we have only seen a fraction of the country! 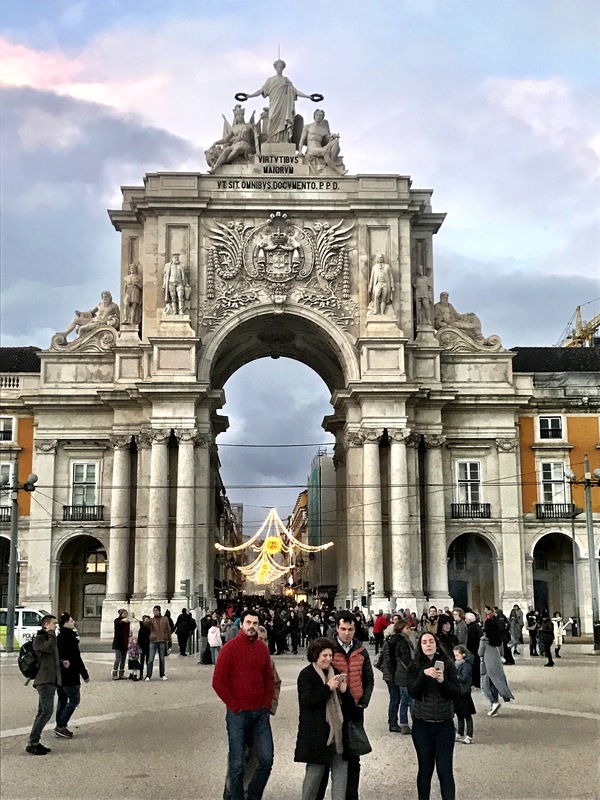 This year we returned to a couple of our favorite destinations from year one abroad–traveling to Lisbon for the Christmas Holiday and spending Spring Break in the breathtaking Algarve. Some of you may know that the Christmas Holiday holds special meaning for us because Cassius was born on Christmas Eve. This makes our European holiday destinations of greater importance. 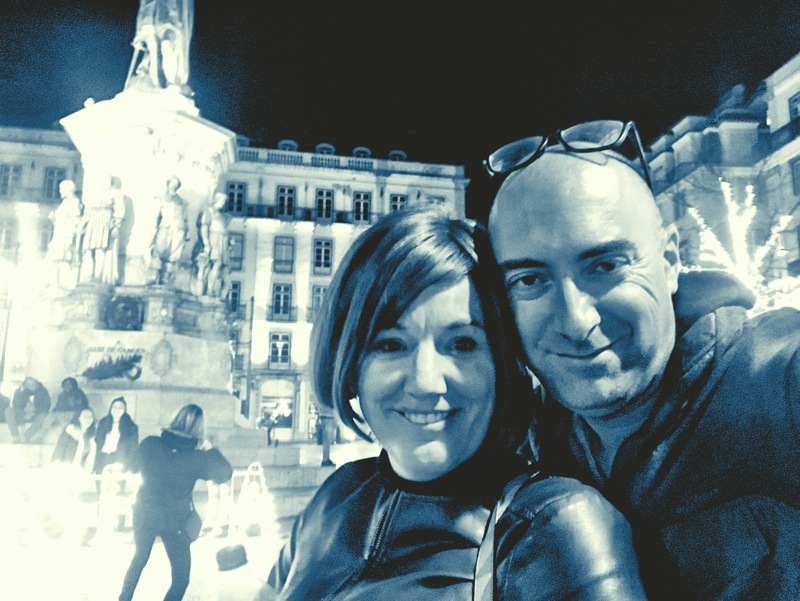 Last year, we spent Cassius’ birthday in Prague (which is nearly impossible to top) and this year we decided to remain close by with an easy drive to Lisbon. 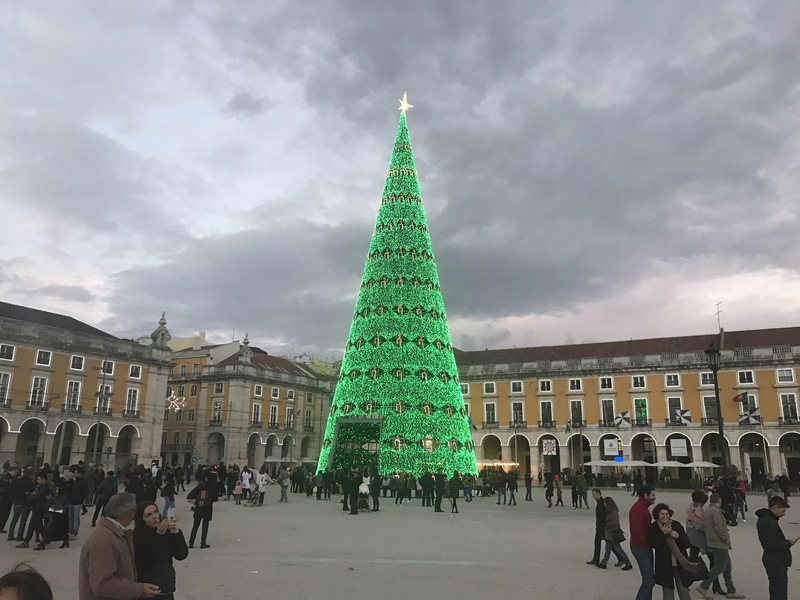 Although Lisbon doesn’t offer the traditional Christmas Market, the city springs to life with its own version of holiday cheer, relaxed and tranquil and grateful holiday cheer. 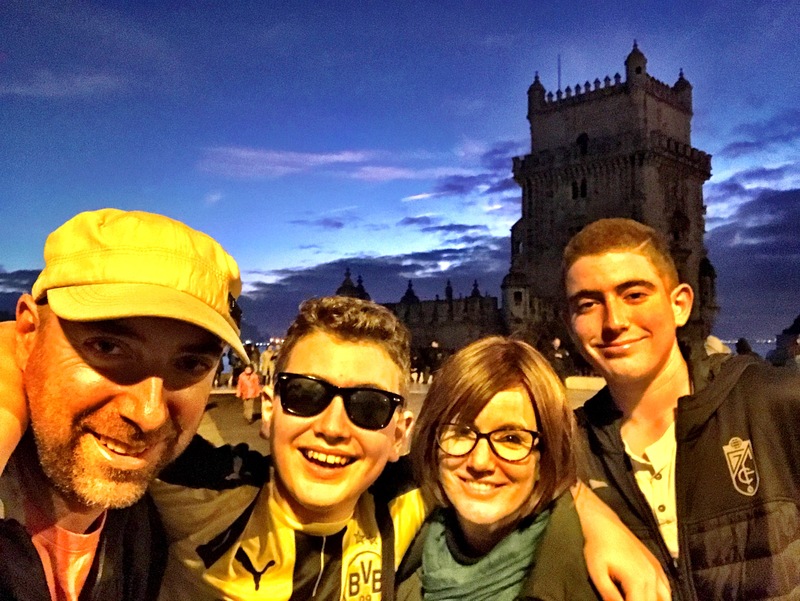 After all our summer travels, flying back to the states, and bringing the dog to Spain, we needed tranquil and easy, and Lisbon provided our family with the perfect backdrop to collapse in all its glory. 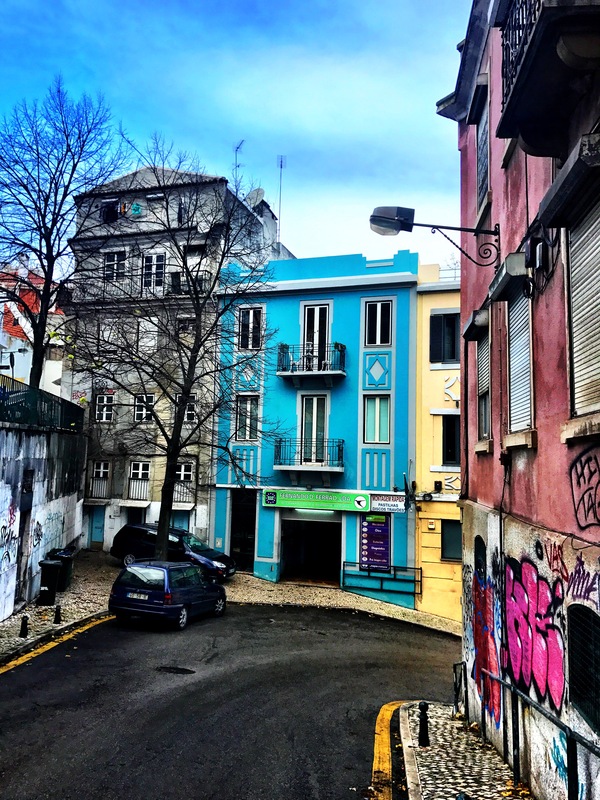 Lisbon, for all it offers, is a difficult city to describe. It has a bay like San Francisco. Architecture like New Orleans. 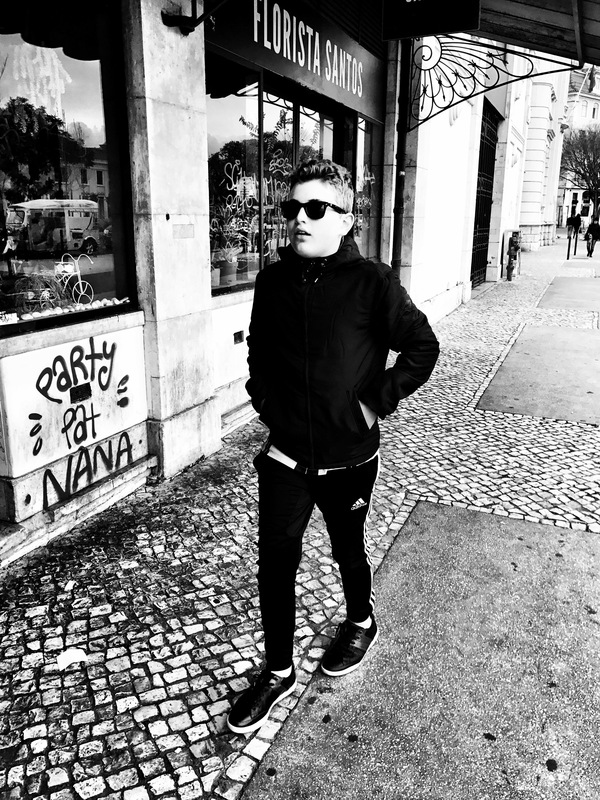 Music like Memphis, although in Lisbon it is Fado music which teems into the streets. Hills like Seattle. Generous plazas. A castle like Edinburgh though not as grand. 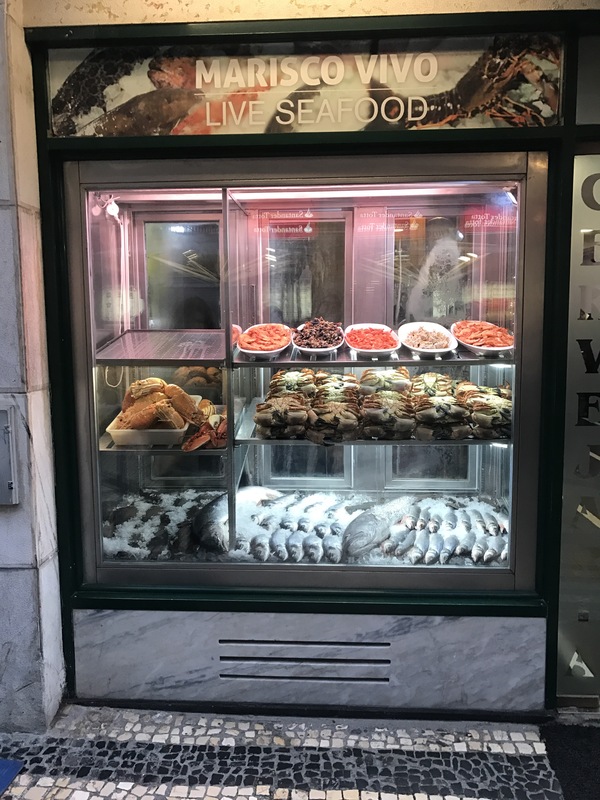 And food that rivals any city in Europe from pastries to seafood to the incredible Time Out Market. 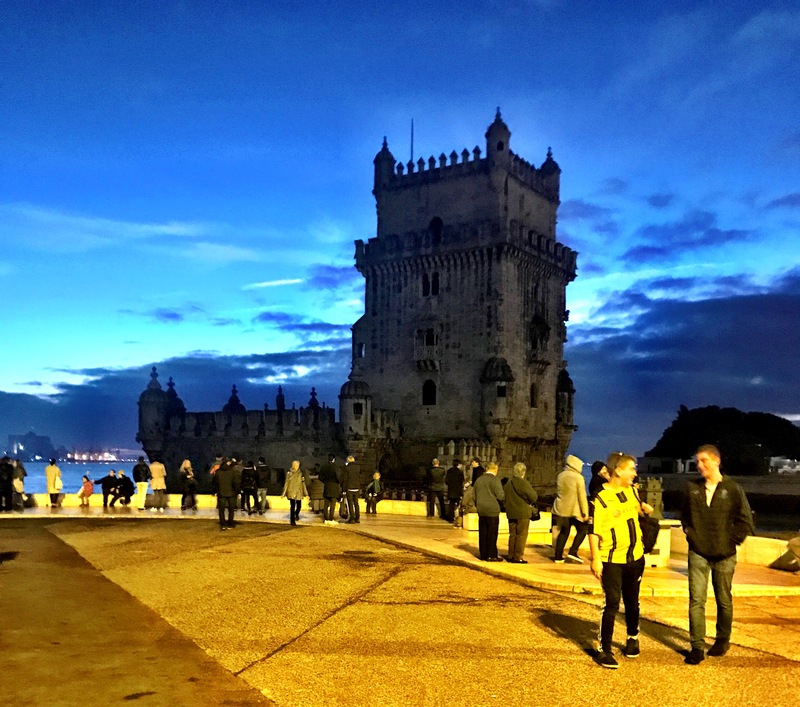 This might sound overreaching, but Lisbon is simply a city to enjoy and revel in. Cassius said that it is an old city with modern amenities and that isn’t far off. You can see the steps where people traveled in ancient times, but the future is now, and it is bright. Modernity has arrived and it even comes with something of a hipster vibe which makes Karen and I feel old and our kids feel at home. It’s really a great city. 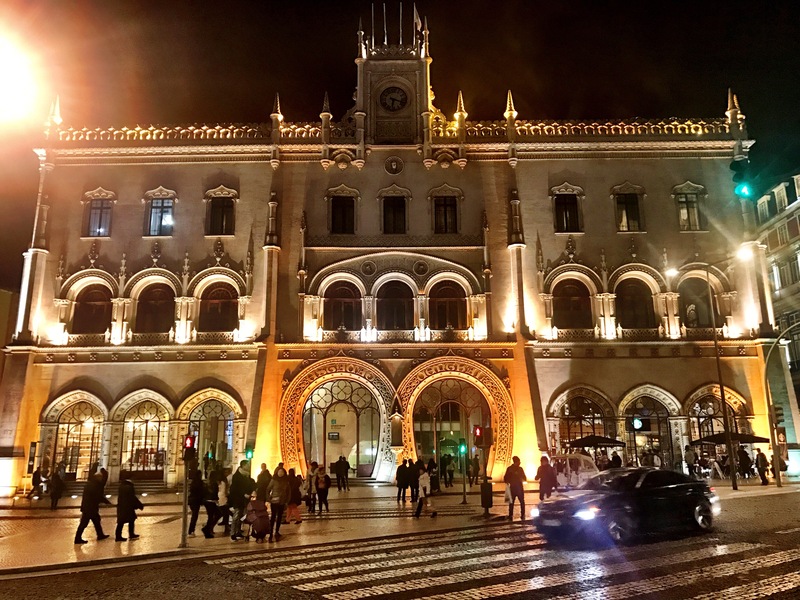 However, perhaps the best example of the magic of Lisbon occurred on our first night in the city. When we got to our apartment, we got the boys settled in before Karen and I set out in search of a parking space. At long last, it was not to be, so we went to an underground garage beneath a beautiful plaza that was quite a distance from the apartment. After taking a couple photos in the lovely plaza, we waited for a cab. One pulled up quickly and four guys from England exited the cab with drinks in their hands. They said “this cab driver is amazing” and that “he sings” and that we had to take his cab. We were slightly suspicious, since they had obviously been drinking quite a bit, but we slid into the back of the taxi anyway. 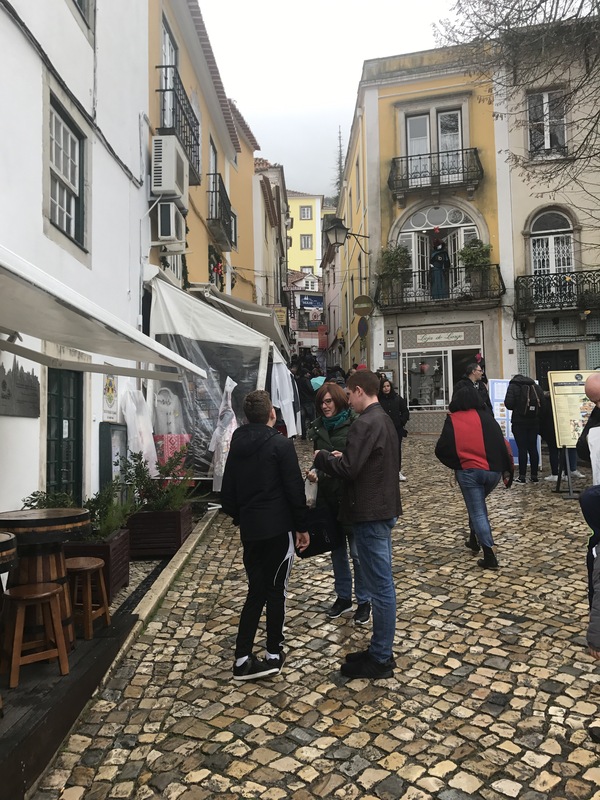 What transpired over the next fifteen minutes was an experience we will never forget, as our cab driver was indeed a serious Fado singer and guitarist who sang along to his own CD all while he drove us up and down hills to our apartment. This was both inspiring and saavy, as we received a free concert and the greatest taxi ride of our lives before purchasing two of his albums as we left the taxi. 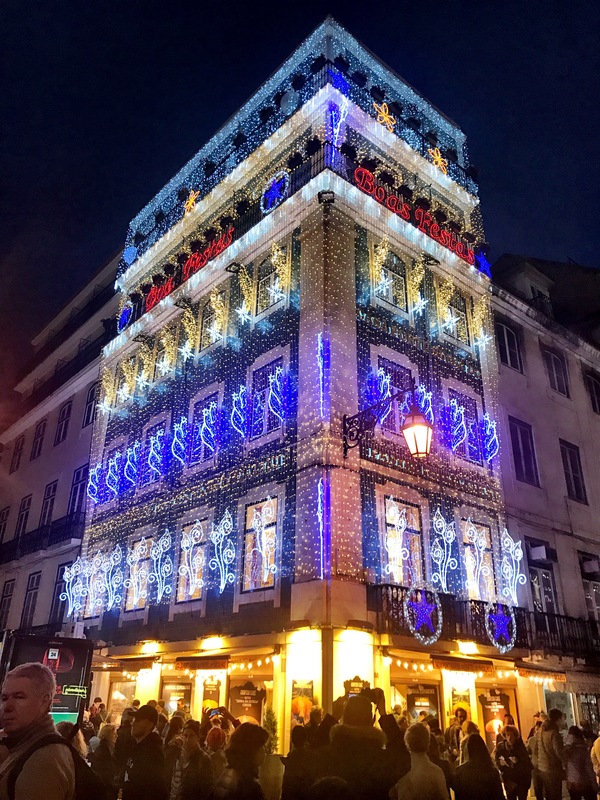 We just sat in the back seat in disbelief as his voice bellowed and the taxi navigated the narrow streets and the holiday lights shined all across Lisbon. 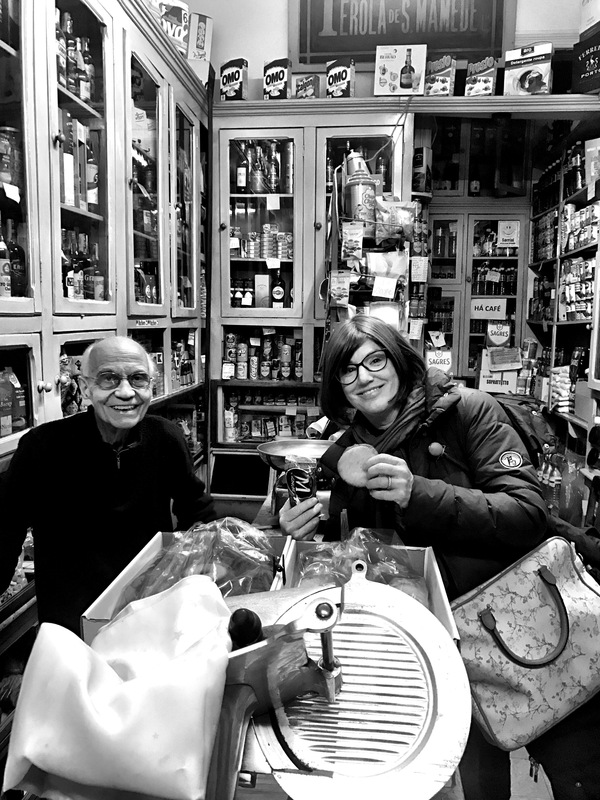 There are no words I can really offer to bring this experience to life, but perhaps it is representative of the type of unexpected joy that Lisbon can provide in a moment’s notice. 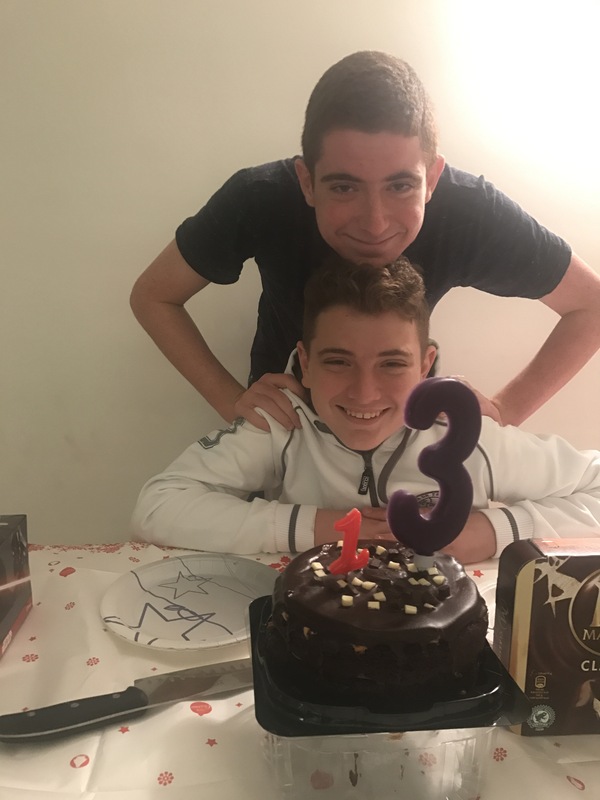 So what does a newly minted teenager do on his thirteenth birthday? 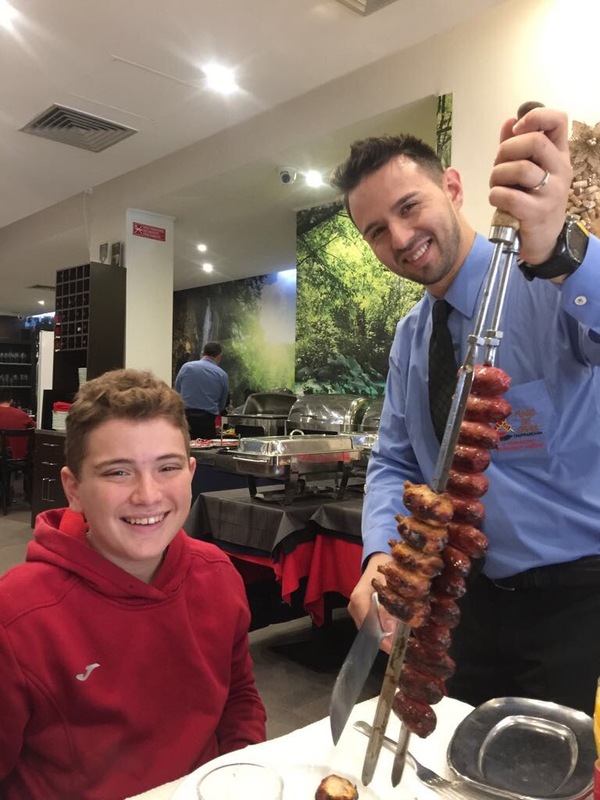 Eat steak of course, and what better place than a Portuguese Steakhouse armed with every meat on a stick imaginable. 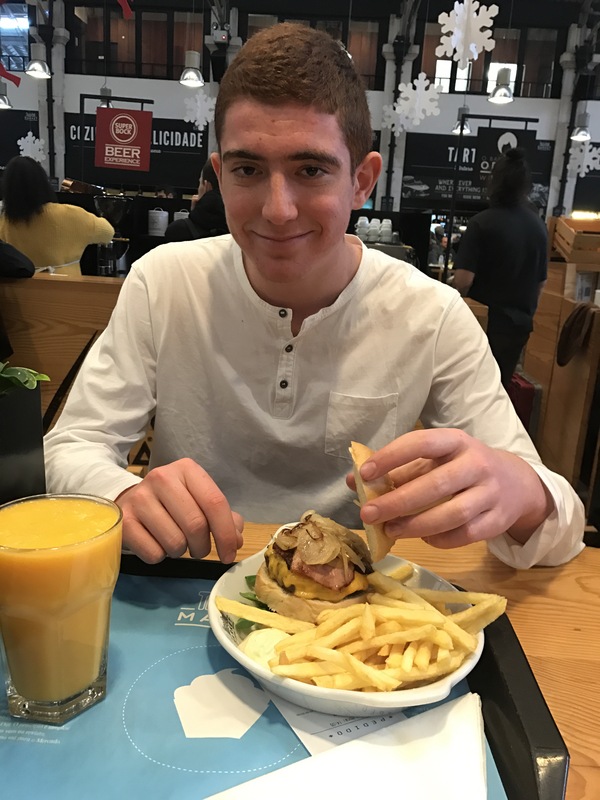 Follow that up with the new Star Wars and you have a recipe for a pretty solid birthday abroad. 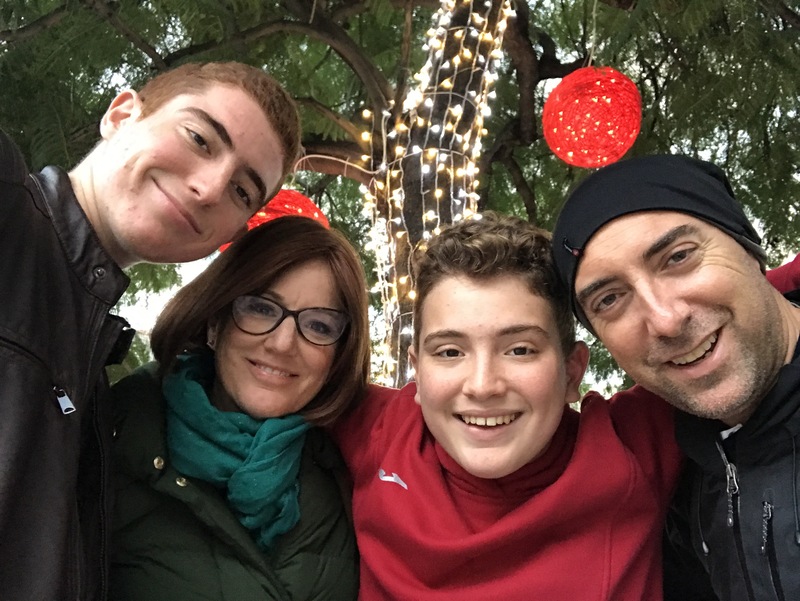 Of course, the next day was Christmas, and spending the last two Christmases in Europe has really altered the way we define Christmas. In Europe, Christmas is a holiday to be celebrated openly, publicly, outside. It isn’t merely a holiday to spend with family and friends but strangers too. There isn’t really anything exclusive and private about it so much as something inclusive and celebratory. It’s different, but we’ve enjoyed it a great deal. 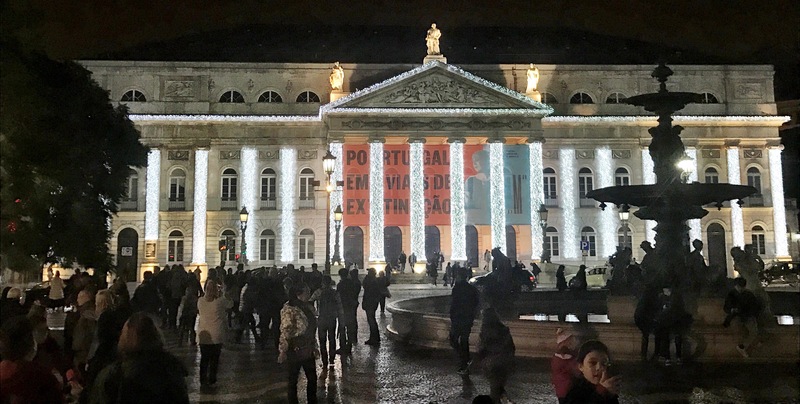 In Lisbon, we took in the beautiful lights and holiday decorations in multiple plazas, ate roasted chestnuts on the street, and made sure to try their famous Christmas Cake. After a full day out and about on the streets, we returned to our apartment to watch Rebel Without a Cause. It was the first time for me and for the boys and we all enjoyed it. Before departing Lisbon, we also took a short day trip to Sintra. 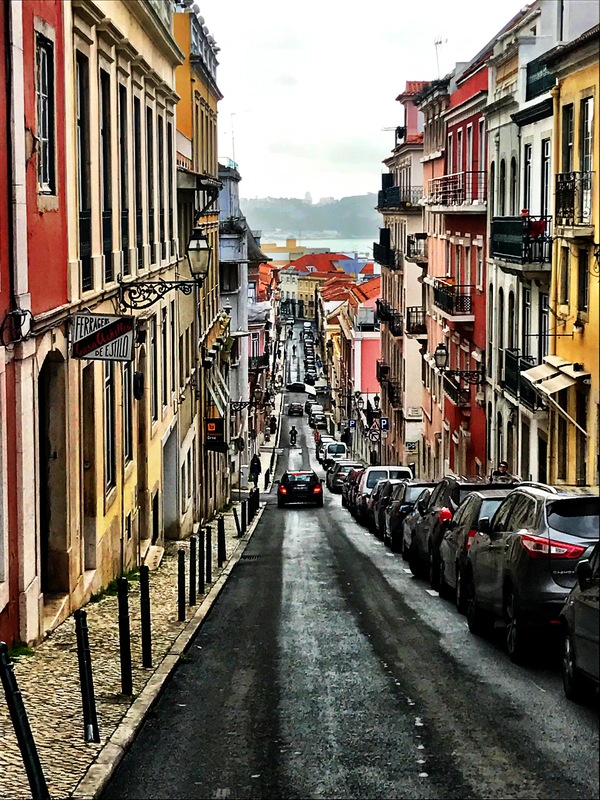 A quick google search will take your breath away and illuminate a fairy tail land of majestic palaces, crooked walking streets, and charming restaurants. Words like picturesque come to mind, as the whole scene looks out over a green valley and the roads are lined with great trees. It’s astounding, even if it has become a bit of a tourist trap. And you can hardly blame the natives for attracting tourists, as it has so much to offer. We also returned to the Algarve for spring break again this year. The Algarve is difficult to describe, and there is still much of it to explore. In its simplest form, it’s the southernmost part of Portugal and comprised of beaches and resorts. But that summation would be doing the Algarve a severe injustice, because it’s so much more. The shore is lined with spectacular cliffs. Think Ireland and the Cliffs of Moher or Big Sur. There are countless hikes and trails that can take you from one coastal village to the next, and the people are welcoming and warm. The cities are vibrant and historic. Lagos is a mazelike old town filled with restaurants, live music, and surprisingly cool stores. Not unlike Lisbon in this way, it’s ancient and youthful all at once. The beaches are scarcely populated—at least in spring. 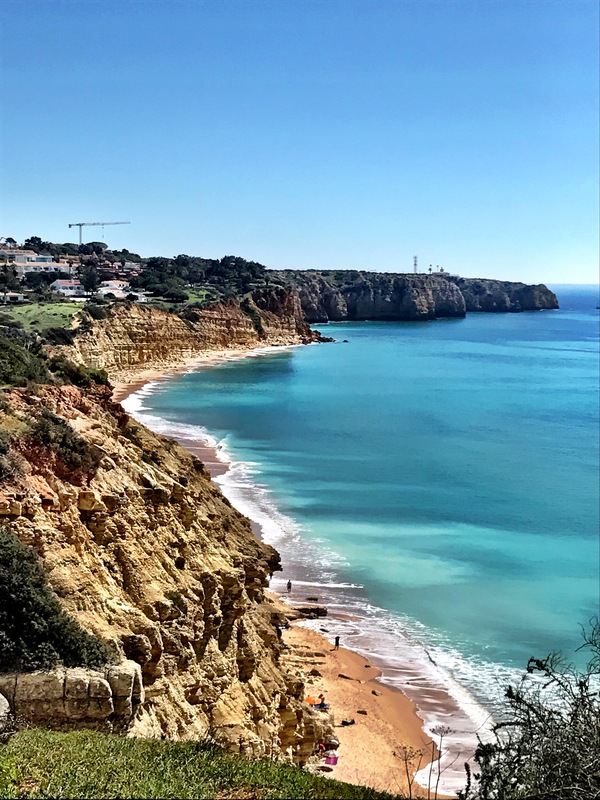 They are lovely and everything about being in the Algarve feels like a dream, not so much pristine and elegant, but closer to that slightly unkempt beauty a place might have before the world discovers it. And finally, a group of former professional footballers from the U.K. run a fun soccer camp there each morning on a glorious pitch. They know our kids, and they ensure that players of all ages just have fun. It’s very laid back and Cassius and Jackson love to go back there and play. We just can’t say enough good things about this part of the world. It’s special. And we haven’t even been to Porto, the Duero Valley, and some of the beach towns further north! So the question remains, why don’t more people, particularly more Americans, see Portugal as a European destination as worthy as England, France, Italy, Austria, Germany, Switzerland, etc. We really aren’t sure, but it’s a wondrous piece of the Iberian Peninsula that’s worth remembering next time you make travel plans. Felt the same way about Portugal and we only made it to the Algarve Coast. Anxious to go back and see more. Thank you for continuing to share your experiences! Hello to all!!! Glad you enjoyed the post Lori. Thanks for the kind words regarding the blog. 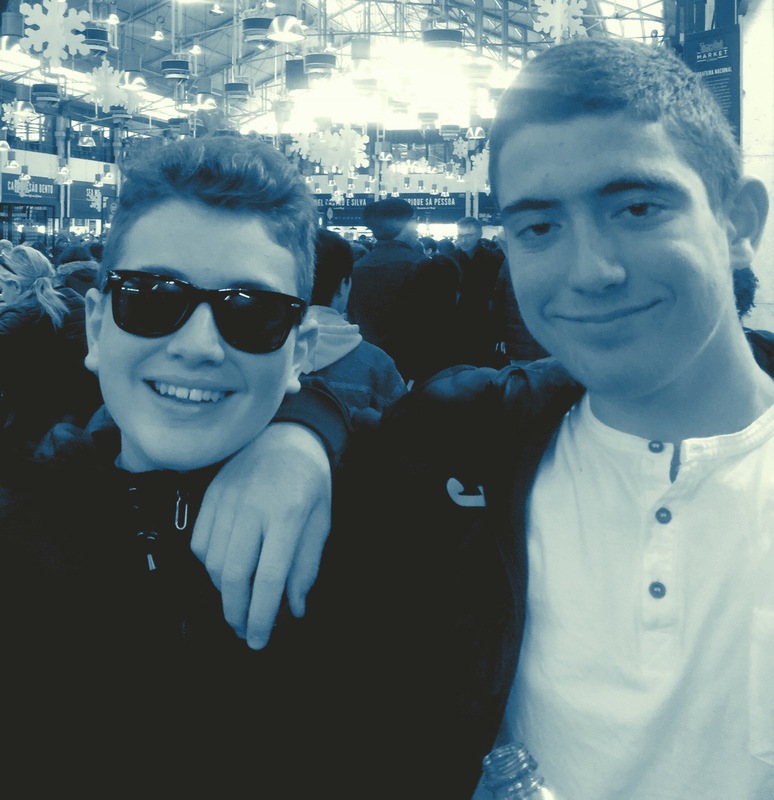 Miss the Wilburs here in España this year but great to see that you are all well and enjoying life back in Seattle. Best to all and thanks again. After spending time in Lisboa, Cascais, Porto & Albufeira, Lagos is our favorite place in Portugal. Thanks for sharing your experience. Portugal is a wonderful country. I am glad you are enjoying the pics. Sounds fantastic! Megan said that is her favorite spot so far! If they have high tea there then she would be completely satisfied!